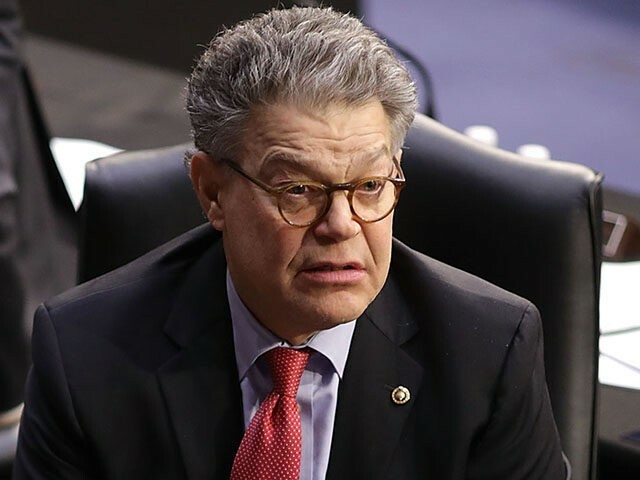 Franken was set to appear in PBS’ airing of David Letterman: The Mark Twain Prize Monday night, but now footage of the Minnesota lawmaker will reportedly be cut from the final broadcast. Tweeden also produced a photograph which appeared to show Franken groping her breasts while she slept on the plane journey home from the tour. After issuing a brief apology Thursday, Franken followed up with a lengthier apology statement, calling for a Senate ethics investigation into the complaint, and insisting he would cooperate with such an investigation. “While I don’t remember the rehearsal for the skit as Leeann does, I understand why we need to listen to and believe women’s experiences,” Franken said. “I’m sorry. I respect women. I don’t respect men who don’t. And the fact that my own actions have given people a good reason to doubt that makes me feel ashamed,” he added. In addition to Tweeden’s claims, news anchor Melanie Morgan alleged last week that Franken harassed her over the phone until she threatened to involve police. The senator has not publicly addressed Morgan’s claims. David Letterman: The Mark Twain Prize is set to air Monday night at 8 p.m. ET on PBS.